Since her debut in a squat in 2003, P-tess has been playing viny. Bass is her language: in the old days, she spnned Oldschool Rap and Miami Bass – later Abstract Hip-Hop, Grime, Dubstep and Electrobeats – and today Rap, Trap, Synthstep, Jungle and UK Garage. during ten years P-tess has been broadcasting monthly with her Nigel in the radio show “Mic Sounds Nice” on the localradio LoRa. 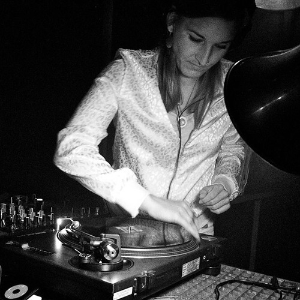 In the “Raphistory”, founded by DJ Soulsonic and Ceo Müller, she performed as a lecturer for the years 2004, 2006 and 2009. She supported various nights of Zurich labels Quiet and Hula Honeys, played at some legendary Binzparties, framed 2Mex, Themselfes, YO!Majesty, SpeechDabelle, Scroobious Pip vs. Dans le Sac, Tokimonsta and Dam Funk, as well as Jurczok 1001 and None of them with her sets. As a co-organizer of the concert-series “The Puddle”, she regularly got international acts like Coco Bryce, Simon/Off, Soom T., Baths, Candy Hank or Bigote on stages in Zurich or Basel. At Kraftfeld in Winterthur, she was also firmly represented as the host of the future bass-zone night Kaboom.